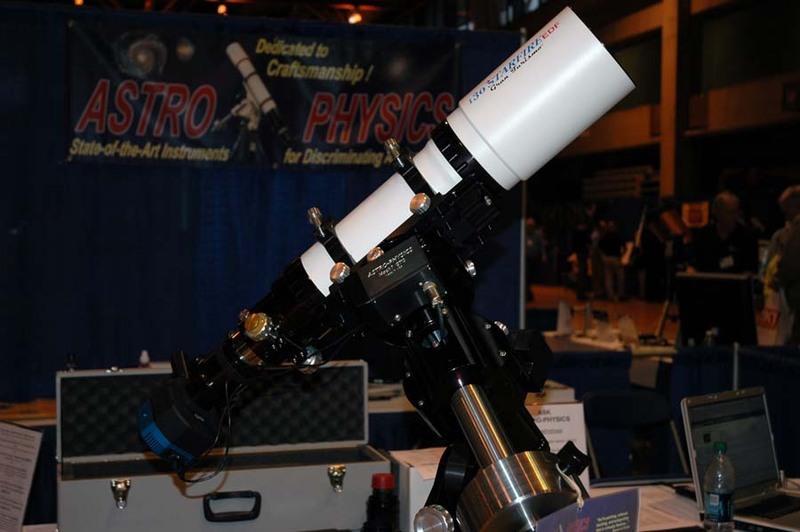 Also at the Astro-Physics booth was a 130 Starfire EDF Gran Turismo telescope on a Mach 1 GTO mount. I'm on the waiting list for one of these telescopes. I think I only have 6 or 7 years left to wait! 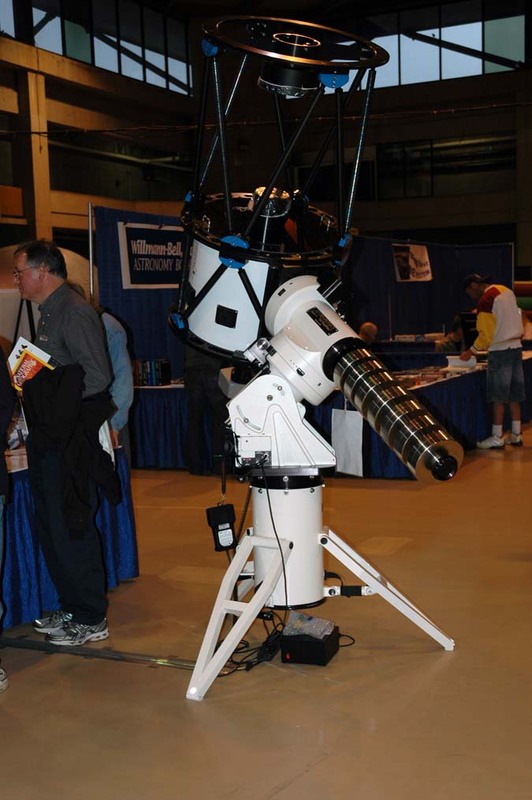 As I mentioned in my first blog post from NEAF 2011, NEAF isn't just about telescopes and cameras. 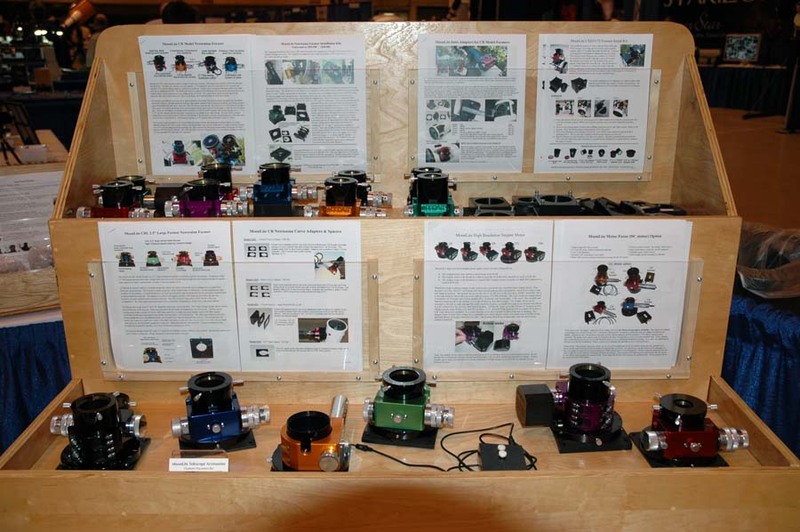 Here's a wonderful display of MoonLite focusers. This was only 1 display of 3 at the MoonLite booth. 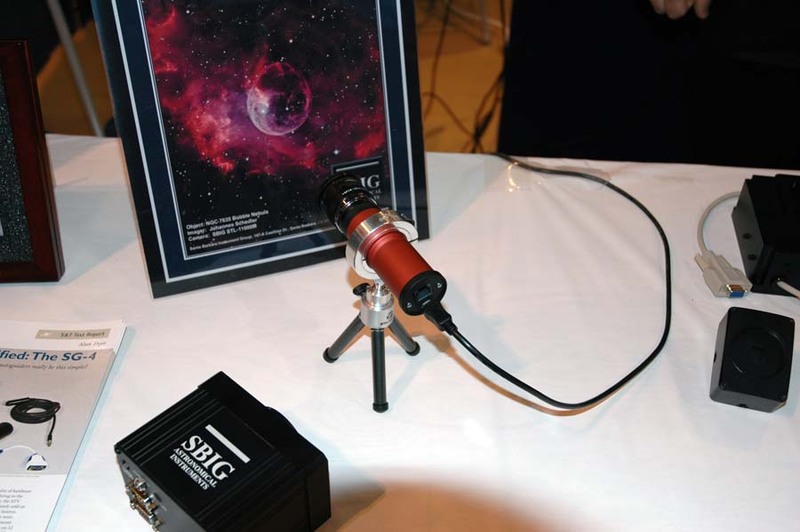 Here's another new product at this year's NEAF – the new SBig ST-i planetary camera and guider. 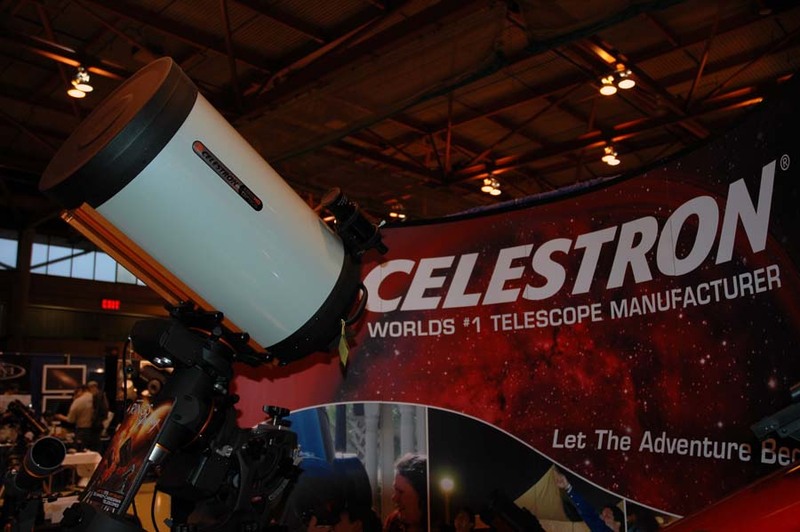 At the beginning of this blog post, I showed you a picture of a Celestron 14" EdgeHD telescope but I certainly don't want to leave out Meade. 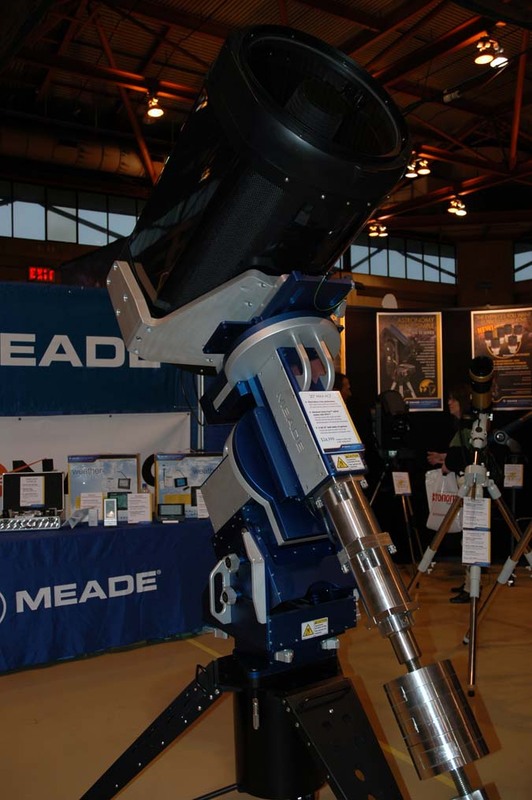 Here's a beautiful Meade 20" Max-ACF SCT. 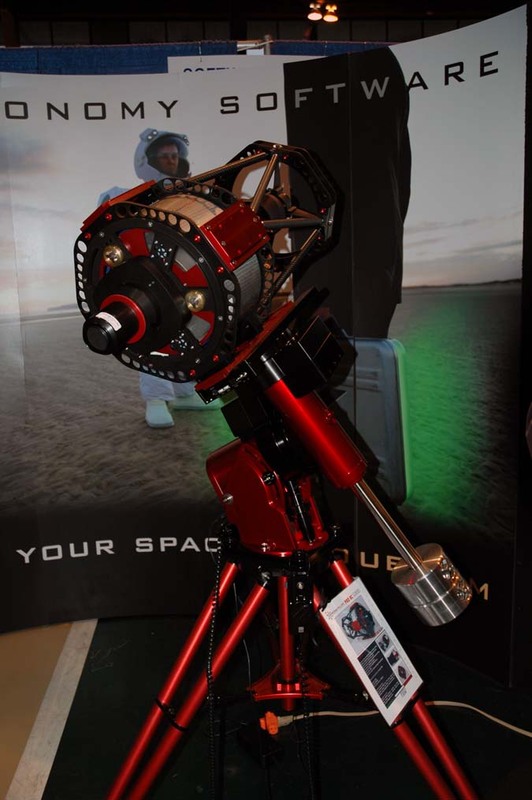 Shown below is the new Software Bisque Paramount MX mount with an Officina Stellare Pro RC 250 telescope. Tomorrow we will be back at NEAF 2011 and we will post more pictures. See you then!